U.S. President Barack Obama gives his annual State of the Union address Tuesday night, and this year there's a heavy focus on technology. Last week, Obama previewed several of the new tech initiatives he'll present, including new cybersecurity legislation and a push to improve broadband access. 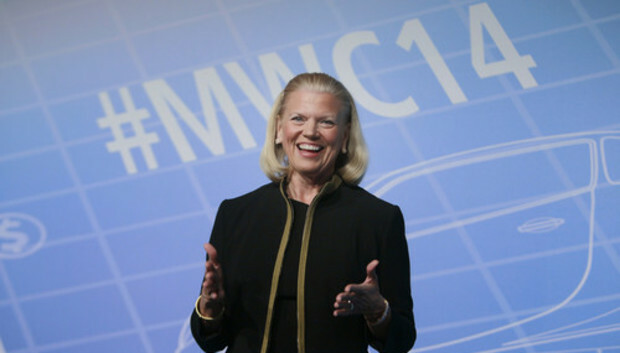 Will IBM earnings disappoint again? After last quarter's negative earnings surprise, many will be closely watching when IBM reveals its latest figures after the U.S. markets close today, with CEO Ginni Rometty under the gun to show improvement. Zacks Analyst Blog doesn't think the company is a shoo-in to beat expectations this quarter, and says IBM is still struggling at transforming its business from primarily hardware to software and services. But even companies built on software and services are challenged by industry transitions: In the case of SAP, the move from on-premise software licenses to a largely cloud-based business is holding back growth, reports the Wall Street Journal. On Tuesday, SAP lowered its medium-term profit-margin guidance and reported a 1 percent slide in net profit for the fourth quarter, said the Journal. Twitter said on Tuesday that it's acquiring Bangalore-based ZipDial, a startup known for its "missed call" marketing platform. A company blog post said the "acquisition significantly increases our investment in India, one of the countries where we're seeing great growth, and also brings us a new engineering office in Bangalore." The U.K.'s Serious Fraud Office has closed its probe into the sale of local software house Autonomy to Hewlett-Packard, effectively putting accusations of fraud to rest on that side of the Atlantic (a U.S. investigation continues). HP wrote off $8.8 billion related to the acquisition, and said that $5 billion was due to accounting issues where it claimed to have been misled prior to the deal. In addition to having its own arsenal of digital weapons, the U.S. National Security Agency hijacks and repurposes third-party malware, according to German news magazine Der Spiegel. The NSA is said to monitor botnets made up of thousands or millions of infected computers, and can exploit features of those botnets to insert its own malware on the already compromised computers. The tech industry's self-policing approach to privacy doesn't seem to be working for many Internet users, based on a survey Microsoft conducted. In 11 of the 12 countries surveyed respondents said that technology's effect on privacy was mostly negative, and felt that legal protections are insufficient. Tuesday morning in Abu Dhabi a Swiss team will detail its plans to fly Solar Impulse 2, an entirely solar-powered airplane, on a 5-month journey that will circumnavigate the globe. Here are some shots of the first Solar Impulse plane taking off last year on a trip from Silicon Valley to New York that used not a single drop of fuel. If the hotel business center and a constantly buzzing mobile device aren't keeping you close enough to work while supposedly on vacation, there's a new service: co-working spaces located near resort areas, the New York Times reports. Is this trend tragic or terrific? You decide.